National Black HIV/AIDS Awareness Day is a national HIV testing and treatment community mobilization initiative targeted at Blacks in the United States and the Diaspora. 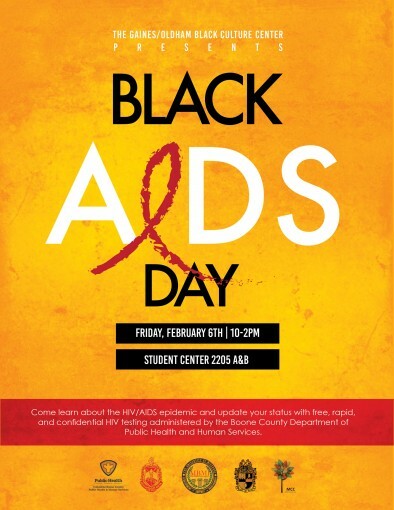 Come learn more about the HIV/AIDS epidemic and update your status with free, rapid, and confidential HIV testing administered by the Boone County Department of Public Health and Human Services. Free educational information, condoms, stickers and more will also be provided.